“Can you hear me?...What about now…?” If you’ve said that at all in recent times, you can blame your microphone and speakers. If your team isn’t able to communicate effectively, collaboration is virtually impossible. Fortunately, we partner with a video conferencing expert, Lifesize, that specializes in customized conference room equipment just for video meetings, so they know how to minimize A/V delays common with substandard technology. Crestron also offers a suite of similar technology that we recommend. Feedback, volume fluctuations, interference and more can interrupt an otherwise productive meeting. After installation, we can make any necessary adjustments to make sure the sound works perfectly before your first meeting even takes place. We also provide ongoing support to ensure that your sound quality stays consistent. What you ultimately decide to purchase may vary depending on many features, such as room acoustics, table size and seating arrangement. During your consultation, we can evaluate your needs and discuss logistics of purchase and installation. For example, larger rooms with long conference tables may require multiple microphones. Rooms with high ceilings could demand noise-canceling panels and in-wall speakers. We’ll get a feel of the place before taking about weighty decisions. Second, does your office have building codes that might inhibit cabling or mounting fixtures? 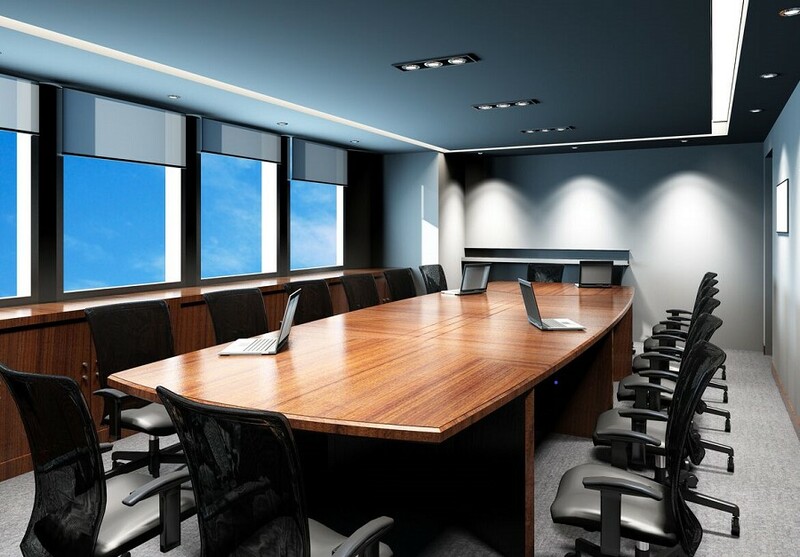 Crestron’s AirMedia-enabled Mercury technology can connect to your wireless speaker and microphones to ensure a wire-free, automated process for all your conference room needs -- while providing the lowest-latency bandwidth on the market. It also features a 360-degree quad microphone that can capture incoming sound from all angles. Keep in mind, this is just one of many suggestions. Lelch partners with many, high-quality audio and conferencing providers and can match equipment to every unique circumstance. There’s also something to be said about how your office looks when you add audio features like speakers and microphones. You don’t want any clunky equipment distracting from a sleek space that you’ll use to entertain clients and top candidates. We can hide speakers, wires and other audio technology so that it doesn’t distract from your room or presentation. Ready to explore interruption-free audio in your conference room? Call us today at (612) 851-8576 or fill out a short form by clicking the button below. We look forward to assisting you!